Tariq Ali’s latest book could not have been published at a better time. On November 26 Mumbai was attacked by a small group of terrorists who, it is said, came from the sea and took over a couple of five star hotels, the city’s main railway station, a hospital, and a Jewish centre. According to the Indian intelligence agencies, there were only 10 terrorists who held some of the symbols of Mumbai’s economic power, social vibrancy and dynamism in their grip for three days. By the time they were overpowered, nearly 200 people were dead, many more were injured, the home minister of the Indian government had resigned and India and Pakistan were once again locked in a verbal dispute that could deteriorate into something worse by the time this review is published. What is the relevance of this incident to the book under review? Tariq Ali looks dispassionately at the factors that have contributed to Pakistan earning the reputation of being ‘the most dangerous place on earth’. The common wisdom in the West is not the one Ali holds. It is said in dozens of books, academic articles and in hundreds of newspaper accounts that have appeared in recent years that the country is fast slipping into anarchy. The main consequence of this will be that the extremist elements will gain strength, and may even gain control of the country and its nuclear arsenal. That, of course, is the West’s worst nightmare. Ali challenges this view and suggests that it will be the West and not Pakistanis that may force the country to move in that direction. Left to itself, Pakistan is inclined to follow a different path. According to the author extremists occupy only a small margin of Pakistani society. The salience they have acquired is almost entirely the consequence of the American — and later the European — response to the terrorist attacks of September 11, 2001. President George W. Bush responded to 9/11 by unleashing the full military might of his country first against Afghanistan and then, a few months later, against Iraq — a country that had no connection whatsoever with the group that mounted the attacks on America. The attack on Afghanistan was initially successful. 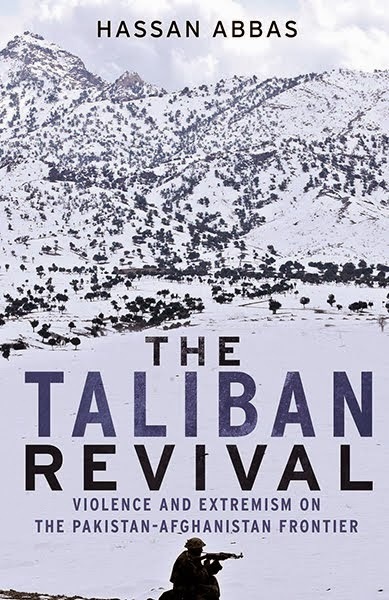 The Taliban regime in Kabul that had offered a sanctuary to Al Qaeda was quickly overthrown and was replaced by a government that was friendly towards Washington. Had America stayed involved and turned its attention to nation-building in Afghanistan, the situation would not have deteriorated to the point that Washington is once again confronted with a conflict it cannot win with the use of military power. If it uses excessive force, the author argues, instead of solving the Afghan problem, it will push the entire region towards extremism and lead to a prolonged conflict between those who believe they represent Islam and the Christian West. Ali explores at some length why Pakistani society, once known for religious tolerance and practicing mostly the Sufi version of Islam, has become associated with extremism. The story he tells is a familiar one for those who know the political history of Pakistan. Also, in an earlier work (Shadows of the Pomegranate Tree, 1996) he has written extensively about Spain under its Muslim rulers where the Islam that was practiced was of an exceptionally tolerant variety. That is the type of Islam that would have become the creed of Pakistan had the country’s leaders not failed in such a spectacular way. In assigning blame for what has happened to Pakistan since its birth in 1947, Ali does not spare the civilian leadership. He focuses in particular on Prime Minster Zulfikar Ali Bhutto and the way he acquired political power and used it once he was in office. One of the more interesting ‘what ifs?’ of Pakistan’s history concerns Bhutto’s behaviour in office. If he had governed as a true democrat, been tolerant of opposition and interested in promoting the welfare of the country’s common citizens, Pakistan would today be working with a better set of economic and political institutions instead of operating in an institutional vacuum. My reading of the book is that the author still sees hope for the country if it is not pushed by the West into going in the direction in which it would not like to travel. 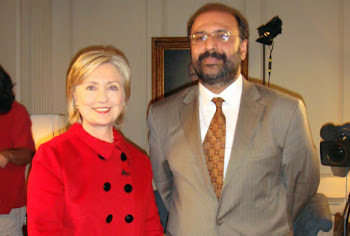 Pakistanis, he says, want to modernise their country and join the world as responsible citizens. They don’t want to be pushed to the margins of the global political and economic systems. He has with this important book, therefore, joined the debate that is going on in a number of policy circles about how to deal with the situation in the no-man’s land between Afghanistan and Pakistan. Earlier this year I attended a conference organised by the British Foreign Office at Wilton Park, a mayoral mansion south of London. The conference was about Pakistan and was attended by more than 80 people, most of them Europeans and Americans. America’s war in Afghanistan was one of the several themes discussed at the conference. The small Pakistani contingent made two statements; one was made by a former Pakistani Ambassador to Kabul and the other by a retired civil servant who had served in a number of senior positions in the North West Frontier Province. The ambassador was of the view that the only solution to the Afghan problem is the complete withdrawal of western forces from Afghanistan and the return of the Federally Administered Tribal Areas, the FATA, to their traditional ways. The other view was that only a deep involvement by Pakistan and its western allies in the economic and social development of the Pakhtoon areas on both sides of the Afghan-Pakistan divide will wean the people of the region away from religious extremism. Tariq Ali’s timely book and the thesis that it puts out should be read by the people who, along with President-elect Barack Obama, are preparing to define the new American approach towards what is now being called the Pakistan problem. The Duel should also be read by the Indian leadership. Both New Delhi and Washington have by their actions brought Pakistan to where it is today. Missteps by both could plunge the country into chaos which will generate a tsunami that will not just leave Pakistan in ruins but hit many other shores. A very lucid introduction. Thanks for posting. But he didn't mention Tariq Ali's view on 'solution to the Afghan problem'?